This Fat Head Pizza Dough Recipe is amazing. I can now enjoy pizza on my Keto diet. 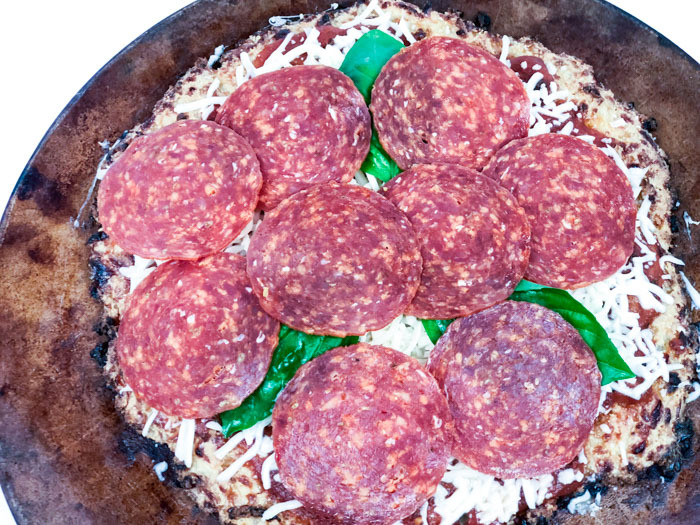 If you’re trying to cut carbs or interested in skipping the bread but still love pizza, this is a must-try! You can still enjoy your pizza without all the dough. 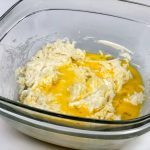 This recipe is Keto-friendly, and I made this one myself. This dough involved zero all purpose flour. It’s actually based with mozzarella cheese, cream cheese and almond flour. So it does have fats but way less carbs than your regular all purpose flour dough. Since this recipe contains almond flour, be sure to check with your doctor or allergist if you have an allergy to nuts (especially tree nuts). You may have to substitute for another flour. The consistency when mixed thoroughly will be a bit choppy/grainy, but that’s OK. 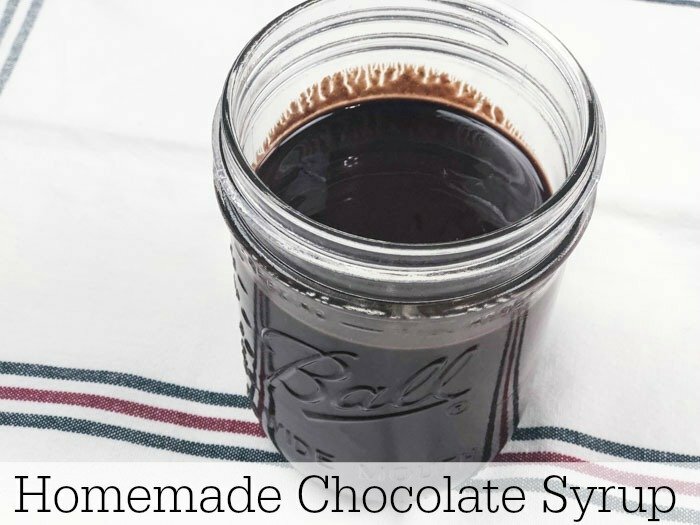 It melts together beautifully in the oven! 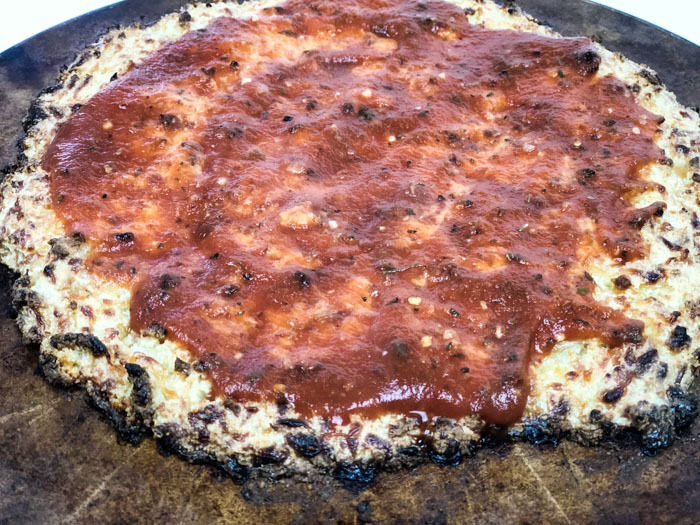 I made this crust on my pizza stone, and would highly recommend one if you don’t already use one. Crusts cook more evenly and there aren’t any stuck spots in the middle, like if you use a cookie sheet. The dough pictured below has been cooked. I always cook my pizza dough before adding toppings anyway, since the two-step process ensures there is no doughy parts in the middle of the pizza… no one wants that. Fat head pizza crust will have a delicious blackened edge around the sides. This is normal, and doesn’t mean you burned your pizza crust. Trust me! Place toppings on pizza as usual after cooking crust. You then just need to pop the entire pizza in the oven for an additional 5-10 minutes. (I like mine just barely melted together, but if you like the pepperonis and cheese very well done I would stick with an additional 10 minutes). Finally done! 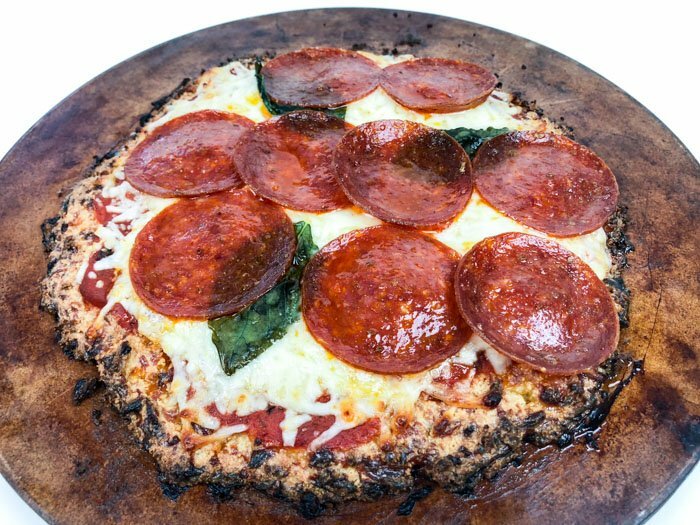 So you can enjoy pizza on your Keto diet after all! 😉 I was very ready for some pizza after being without it for a while. 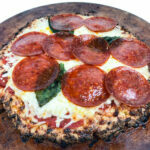 This recipe serves two, so it makes a nice appetizer sized pizza or personal pan pizza size. I would say that one serving is about 3 to 4 slices depending on how you cut it! 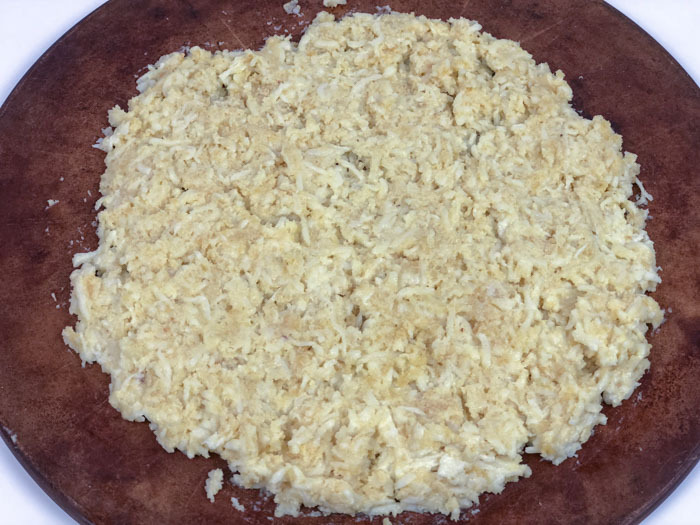 This an amazing low carb/keto pizza dough. In a microwaveable bowl, add your mozzarella and cream cheese.Microwave on high for about 20 - 30 seconds until melted. 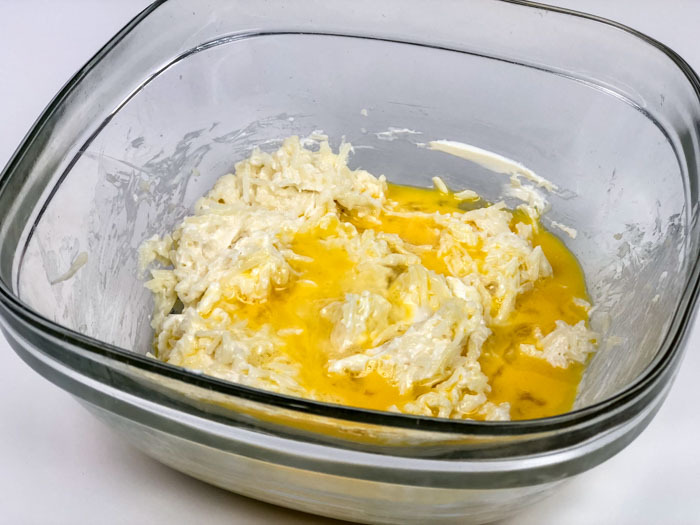 Add almond flour, garlic powder and egg to your bowl and mix as well as you can. It may look and feel like a big gooey mess but that's ok.
Bake 12-14 minutes or until crust is golden brown. Add your sauce and favorite pizza toppings and cook for another 5-10 minutes. Find more out Keto recipes by clicking our link.